This is the story of how Anna Hyatt Huntington and Archer Huntington's late blooming love led to building beautiful Atalaya and Brookgreen Gardens. Atalaya, their winter retreat, still stands on a South Carolina beach as a monument to their love. Brookgreen Gardens still blooms as it showcases the sculptures of American Artists, a monument to their dedication to art and culture. Anna Hyatt (1876-1973) began sculpting as a young woman, first using domestic animals as models, later using zoo animals for models. Anna trained at the Arts Students League in New York City, and also studied with the well-known American sculptor, John Gutzon Borglum, creator of the presidents' heads at Mount Rushmore. 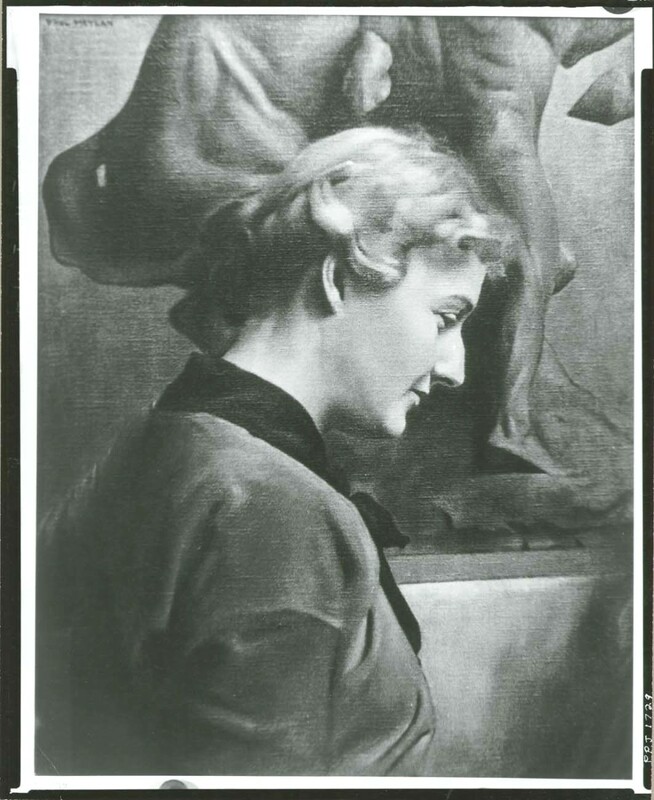 Anny Hyatt was already an established and well-known American sculptor when she met and married Archer M. Huntington (1870-1955), a wealthy industrialist and philanthropist. Many of her life-size animal sculptures were already being shown in museums, parks and public places around the world and by 1912, she was earning $50,000 a year from her sculpting, a substantial sum at that time. Anna and Archer met rather late in life when they worked together on a charitable project in NYC. She was forty-seven and he was fifty-three when they married in 1923. Shortly after their marriage, however, Anna contracted tuberculosis, and the Huntington's decided that a winter home in a milder climate would be good for Anna's health. They purchased three large plantations totaling 6,600 acres on the Atlantic coast near Murrells Inlet, South Carolina for $225,000. 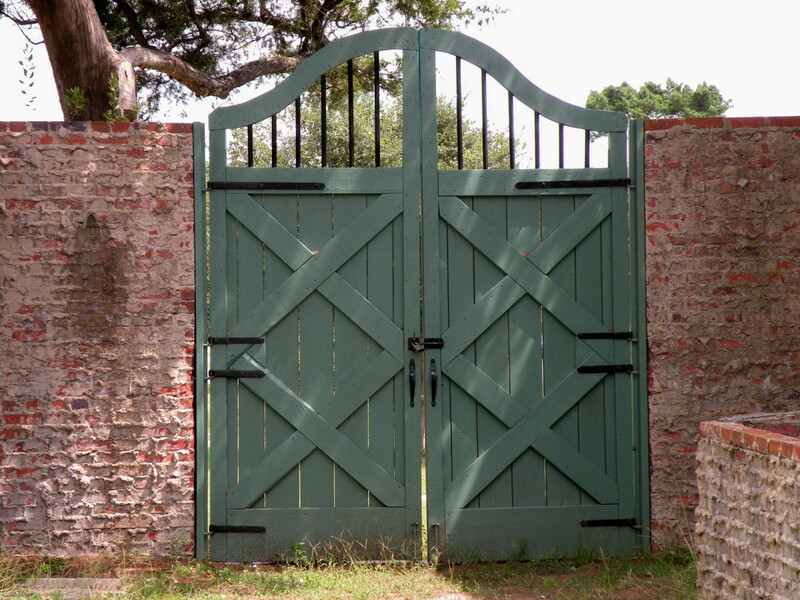 Here they built their winter retreat, Atalaya, and started their plans for Brookgreen Gardens to showcase Anna's sculptures in a natural outdoor setting. Atalaya was conceived and designed by Archer Huntington who was not only a businessman, but a scholar and noted authority on Spanish culture at the time. The house was designed in the Moorish Revival style, similar to architecture found on the Mediterranean Coast. The thirty room house faces the Atlantic ocean and is built in the form of a large square. Each of three sides is 200 feet long, with a shady open courtyard in the center. It is landscaped with palm trees. The house was built without plans as Archer had the design in his head. In the midst of the Great Depression, Archer hired all local labor, a huge boon to the depressed area of coastal South Carolina. Atalaya had no air conditioning and no central heating. Each room has a fireplace; ramps instead of stairs into the house allowed wood to be brought in by wheelbarrow. The windows open wide to catch the fresh ocean breezes, and, in traditional Southern manner, windows all have decorative grates on them to keep out intruders. Because Anna was quite ill with tuberculosis the first years at Atalaya, she was unable to work on large sculpting projects. 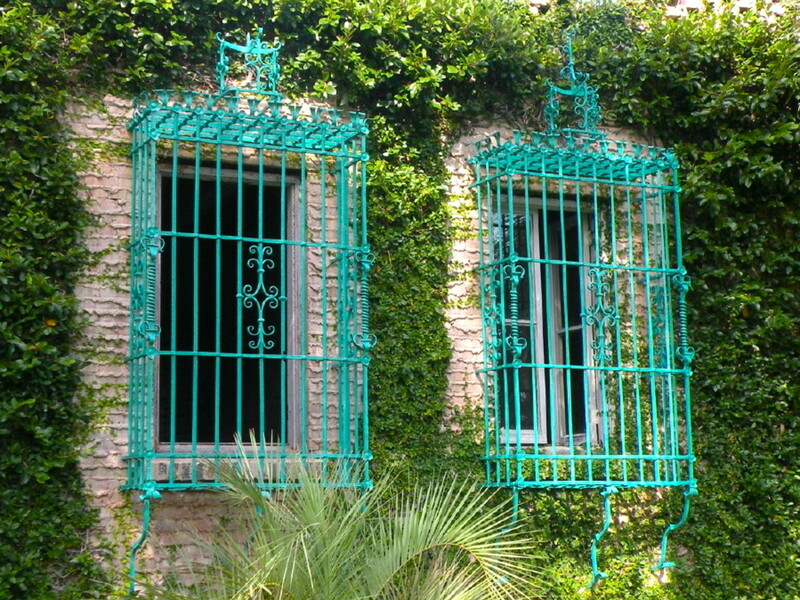 However, she amused herself by designing decorative wrought iron window grates, stair railings, planters and furniture for Atalaya. She also designed the decorative doors. Most of the doors in the home are dutch doors, designed so that the top half could be opened while the bottom half stayed closed to keep the dogs indoors. It is said that there are over a million bricks in Atalaya. Archer commissioned the bricks to be made locally and the construction to be built by local workmen. Local people were trained to lay the bricks to his specifications in the extruded style, with the mortar squeezed out from between the bricks. There's a story about one crew that worked for days building up a wall and carefully smoothing out the mortar between each brick. When Archer saw it, he had the wall torn down and rebuilt! The water tower is at the center of Atalaya. Designed by Archer Huntington to be a work of art as well as utilitarian, the water tower stands 40 feet tall in the center of the courtyard in the middle of the covered walkway which goes under it. The water tower houses a 3,000 gallon cypress water tank that was filled with water from a nearby artesian well. The Watertower, Inspiration for the Spanish Name, Atalaya. Alligators are a common sight near Atalaya as there are fresh water and brackish water ponds nearby. They are even seen on the beach sometimes. This one meandered across the driveway just a few feet away from Atalaya's main entry, and visitors keep a lookout for him when they walk around the grounds. 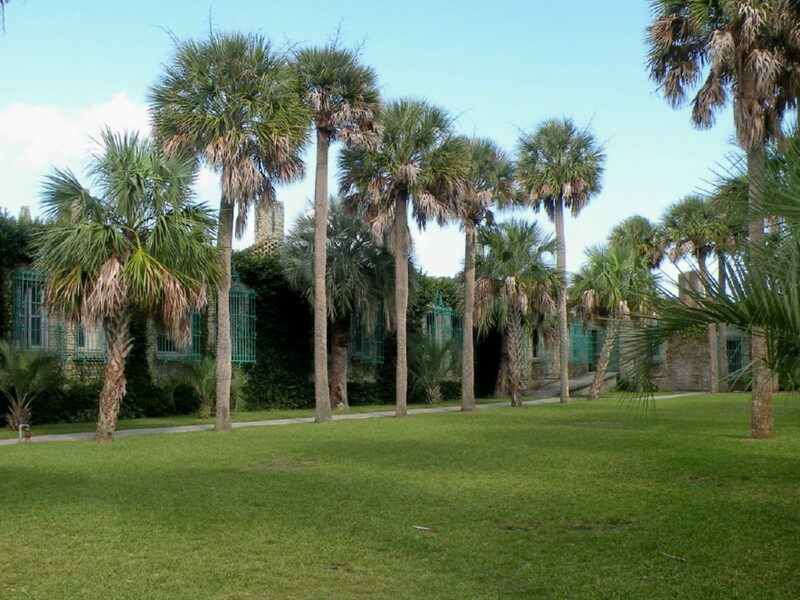 Atalaya and Brookgreen Gardens were named National Historic Landmarks because of Anna Hyatt Huntington's important artistic contributions. 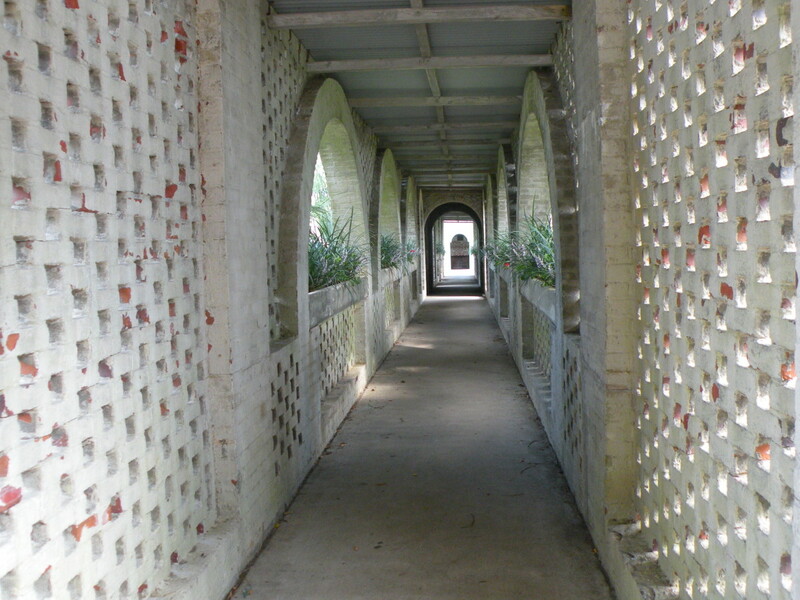 Today, Atalaya lies within the bounds of Huntington Beach State Park. 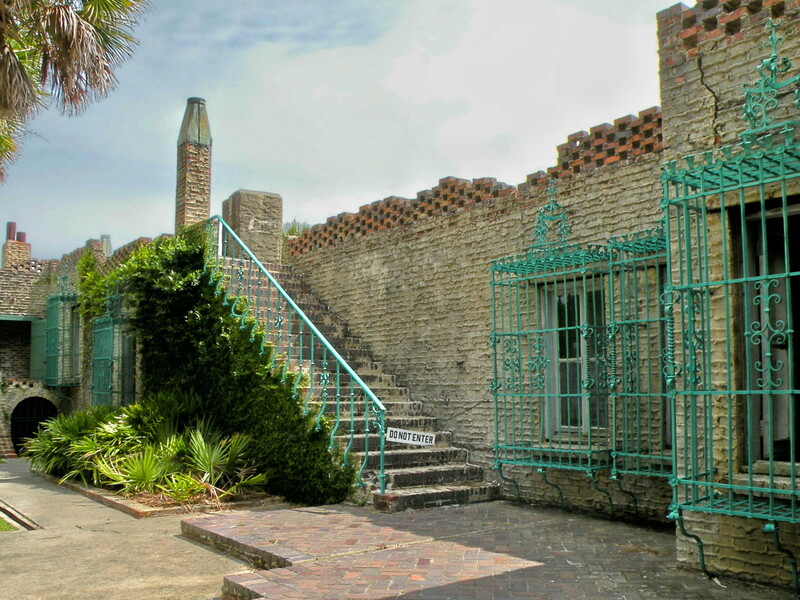 Visitors must enter the park in order to take a guided or self guided tour of Atalaya. Although the building has been maintained and repaired, there are no furnishings inside the home. It is still well worth seeing. There is a small museum with many historic photographs and anecdotes about the Huntingtons. The rustic courtyard is often used for wedding receptions that are scheduled through Huntington Beach State Park. On a personal note, I became interested in Atalaya after visiting Brookgreen Gardens and seeing Anna Huntington's work. It is amazing in its detail as well as its expressive realism. One other fascinating fact - as I learned about the Huntingtons, I discovered that they were among America's first RVers! They traveled cross country in a special trailer built to accommodate their needs and the needs of the animals (dogs, monkeys and birds!) that traveled with them. 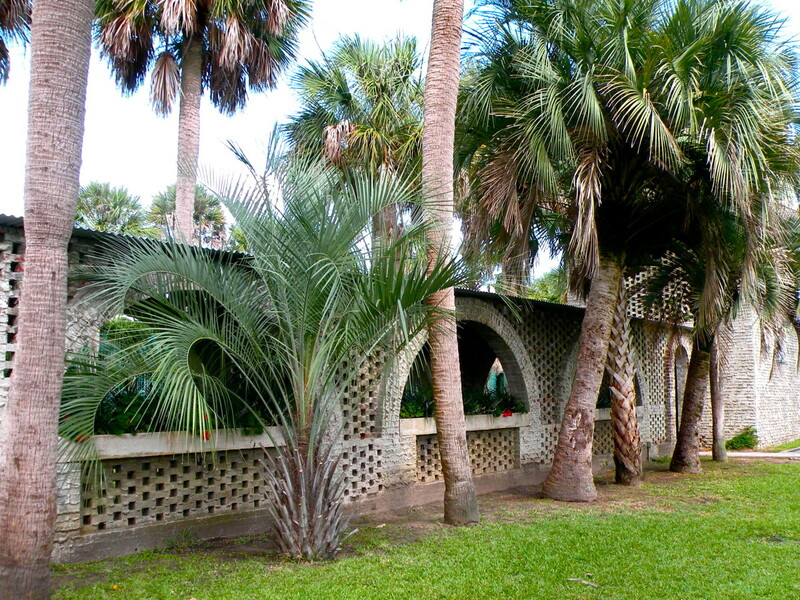 A few years ago, my husband and I were fortunate to spend two months at Huntington Beach State Park where we served as volunteer hosts at Atalaya. During that time, we had the opportunity to examine many of the historic photographs and writings of the Huntingtons at the museum and enjoyed a behind-the-scenes look at this historic landmark. 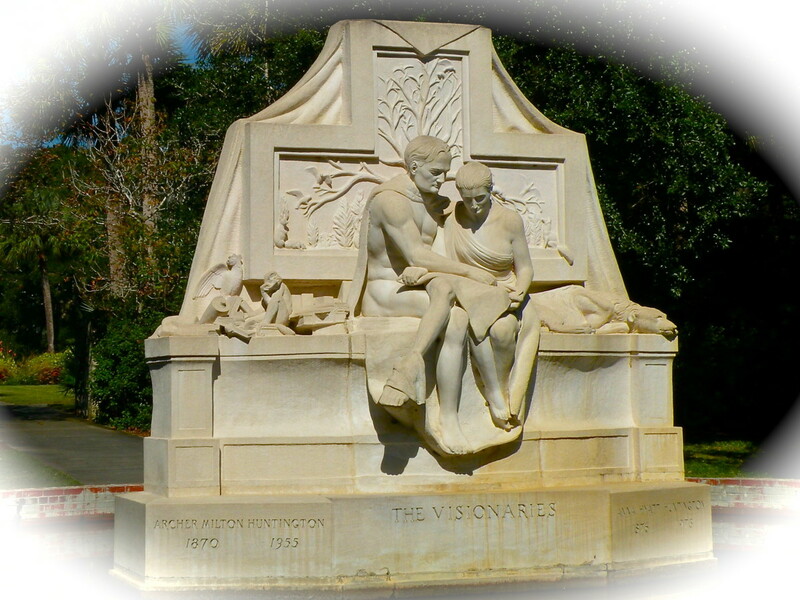 For more on the accomplishments of the Huntingtons, see my article on Brookgreen Gardens, Archer and Anna Huntington's vision of beautiful gardens and a setting for Anna's sculptures. 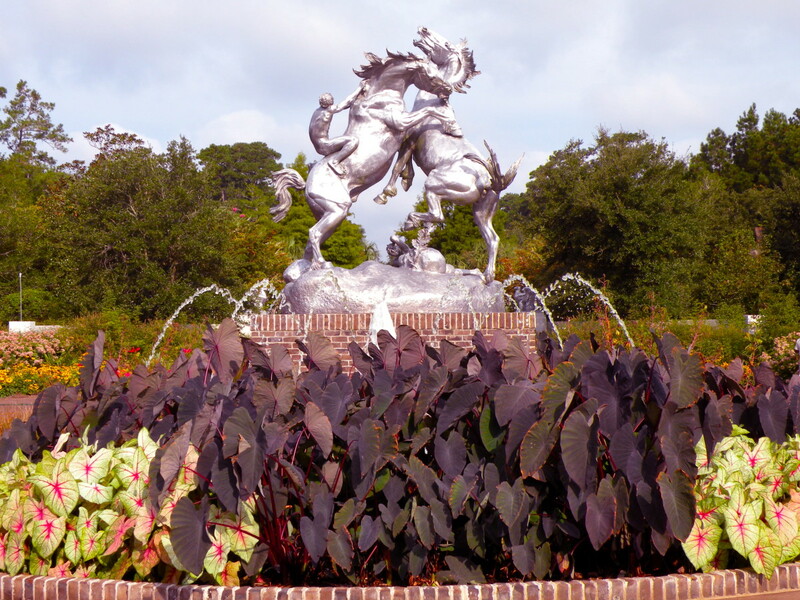 Brookgreen Gardens is also on the National Historic Landmark register, and houses an amazing collection of American sculptures as well as beautifully designed gardens. If you enjoy beautiful flowers and would like to see more of Anna and Archer's creations, do drop in to take a look! All photographs and text in this article are copyright by Stephanie Henkel. Please do not copy without permission of the author. Jim Montgomery - Thanks for pointing out my mistake. I will make the correction. A correction. Archer was 53 not 51 when they married. He was born 3/10/1870. She was born 3/10/1876 and they were married 3/10/1923. 3 in 1 day! DonnaCSmith - I'm so glad you were able to visit Atalaya and Brookgreen Gardens! They are both so interesting, and Brookgreen in the spring is fantastic! 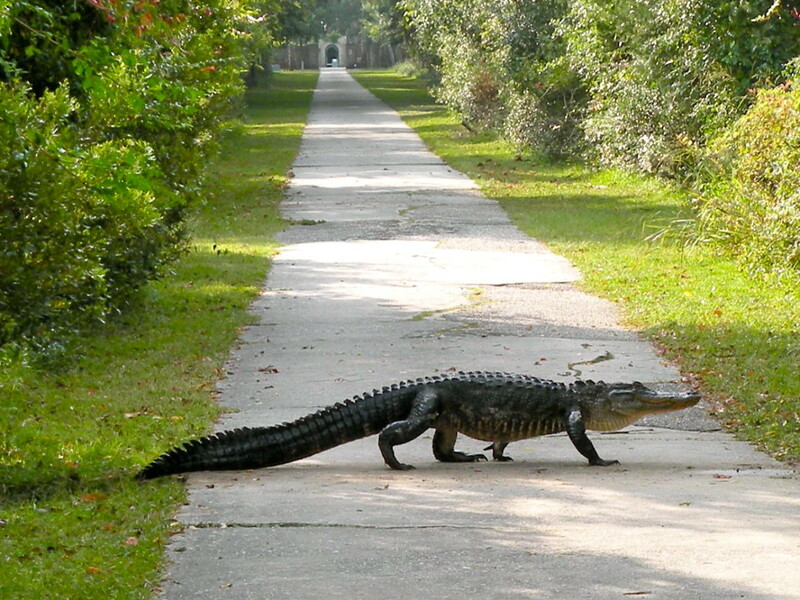 Believe me, I was not interested in getting any closer to that alligator, though there were people who rode their bikes right down the road past him....not me! LeTotten - Hope you enjoy both Atalaya and Brookgreen Gardens! Thank you for the info on Brookgreen Gardens. I will check that out, too. LeTotten - I think you'll really enjoy Atalaya and the history of Anna Hyatt Huntington. Be sure to visit Brookgreen Gardens, too. It's just across the road from Huntington Beach State Park. Great Hub! And Great Photographs! Definitely a place I will make time to visit. Maine Photography - If you are down in that area, be sure to visit Brookgreen Gardens, too. In addition to the beautiful gardens and reflecting pools, there are many wonderful sculptures by Anna Hyatt Huntington and other America sculptors. Enjoy your trip! My wife wants to take a trip down south and I think we'll try to see Atalaya if we do! Maine Photography - Archer Huntington loved Moorish style architecture and designed Atalaya in that style. I'm sure very similar architecture can be found in Turkey. 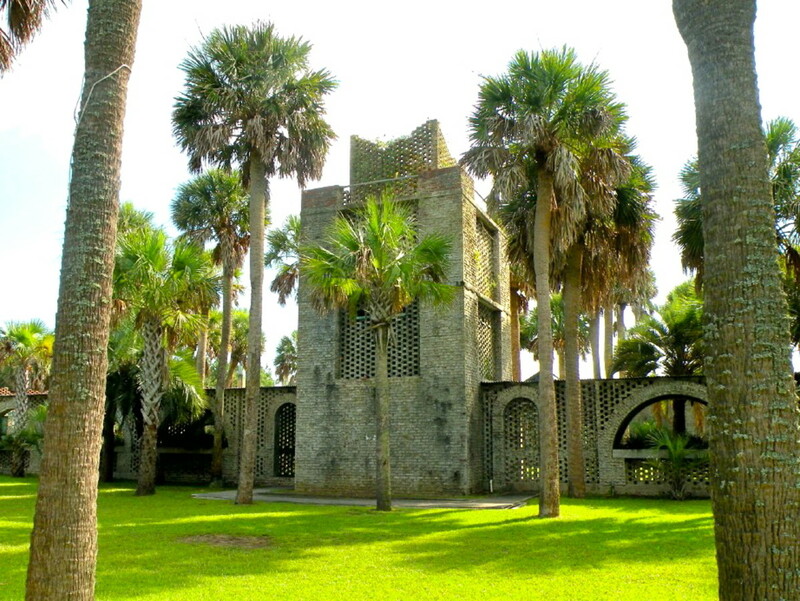 I do hope you'll visit Huntington Beach State Park and Atalaya some day if you are near Myrtle Beach, South Carolina. It's well worth a few hours of your time. The water tower is stunning! 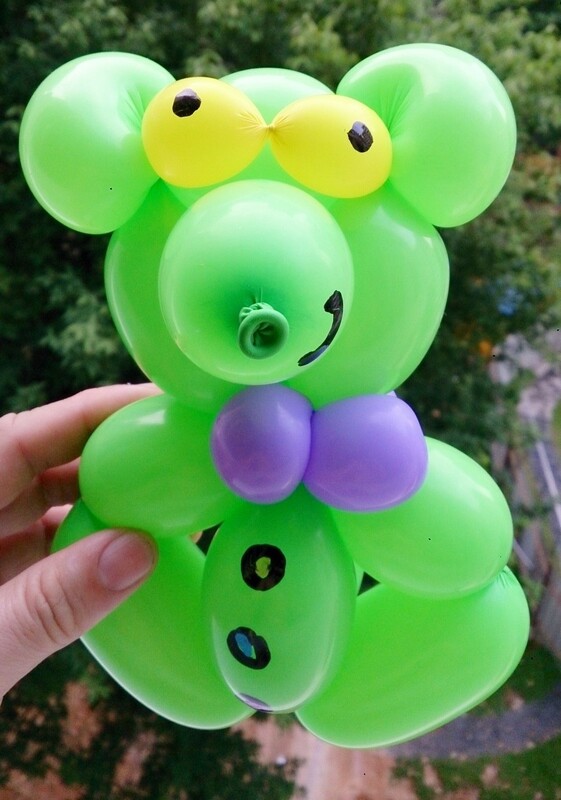 It looks like Turkey. I will have to visit this place someday. Oceansnsunsets - The Huntingtons were such an interesting and talented couple. Seeing Atalaya in person adds another dimension to Brookgreen Gardens which they founded, and it's easy to imagine Anna at Atalaya working in her studio and enjoying the beautiful settings. 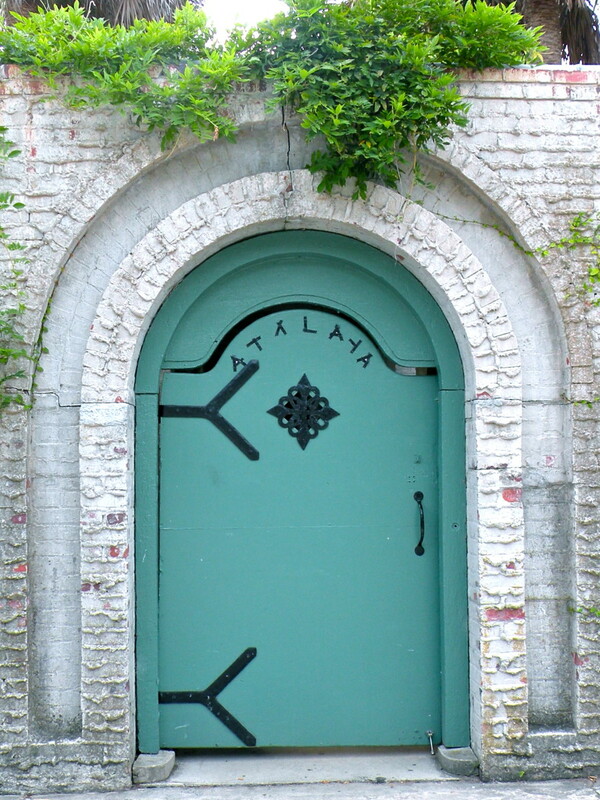 If you love the arts, I know you'll love both Atalaya and Brookgreen Gardens. Thanks for visiting and commenting here. Stephanie, this is all very interesting, and so beautiful! The doors, visionaries and the stallions all caught my eye. What an interesting story. I love the arts, and anything having to do with it. I hope to see these things in person one day. Thanks for sharing. The Huntingtons were very involved in promoting the arts, and I'm sure that Anna knew Fenton. Brookgreen Gardens was originally supposed to be just a showcase for Anna's work, but the Huntingtons expanded on the idea to include and promote many American artists. 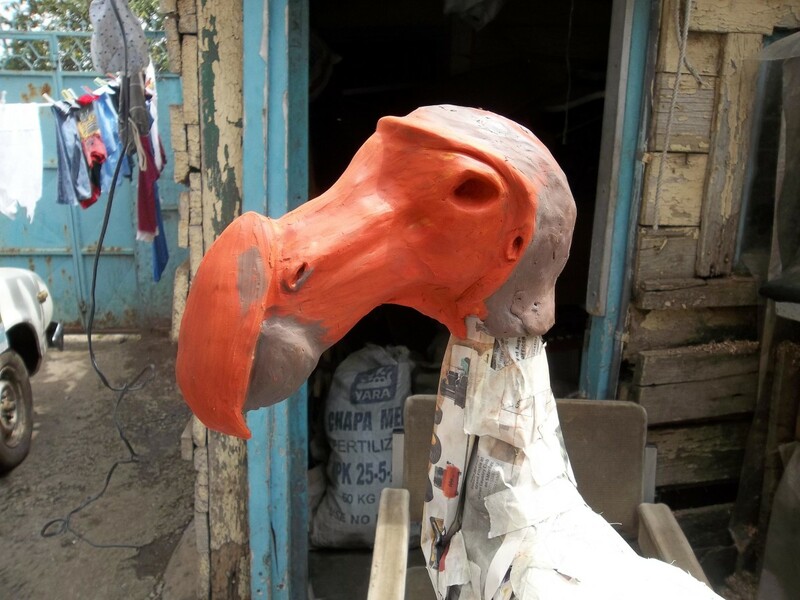 In fact, there is an ongoing artist-in-residence program at Brookgreen. Thanks for mentioning Beatrice Fenton - I'm interested now in learning more about her. Thanks so much for adding your very interesting thoughts on Huntington's and Fenton's work! I appreciate you comments so much! What a wonderful introduction to Anna Hyatt Huntington, of whom I had never heard. While reading your words about her life, I immediately thought of Beatrice Fenton, Huntington's junior by about a decade. Fenton was a prominent Philadelphia sculptor. Both women created their works at about the same time, many of which were for public gardens and parks. When searching for more images of Huntington's works I immediately saw a resemblance in her earlier works to Fenton's subjects and style. With all that said, I found that Brookgreen Gardens houses some of Fenton's works as well. Now I can't help but wonder if the two were more than just acquaintances, for I am sure they at least would have known of each other. Kate Frost - I'm glad you enjoyed my article on Atalaya. Thanks for visiting and commenting! Carmen H - I'm so glad you enjoyed this article on Atalaya! If you go, be sure to visit Brookgreen Gardens, Archer and Anna Huntington's creation, which is right across the highway from Atalaya. (My hub on Brookgreen will be up soon!) Thanks for visiting here and also for remembering my Devil's Tower hub! 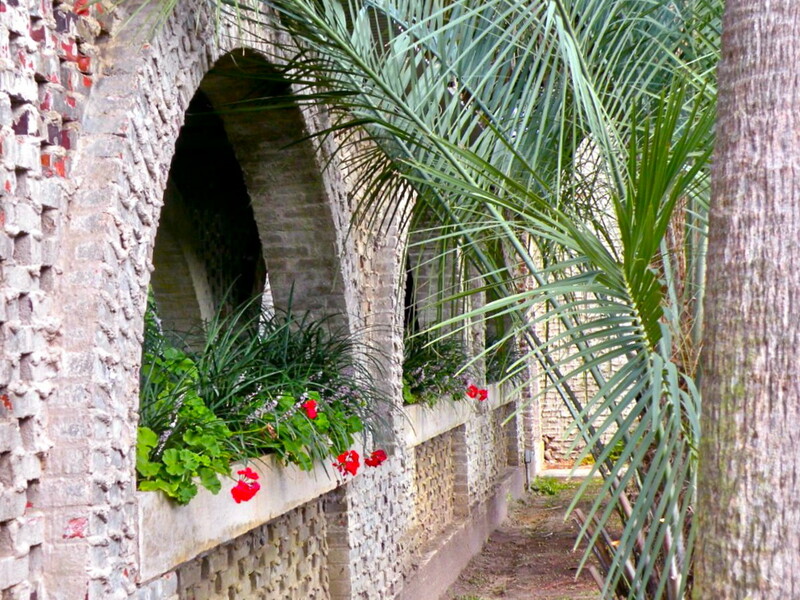 Thanks for displaying the beauty of Atalaya- in both pictures and words. Reading this hub gave me the same thrill and excitement as when I was reading your other hub on Devils Tower Monument. I am adding this to my places-I-must-visit list. Vinaya - I am happy to introduce you to Anna Hyatt Huntington - I'll be publishing more photographs of her sculptures in my next hub about Brookgreen Gardens. Thank you for your kind comments! Femmeflashpoint -I'm so glad you enjoyed seeing a bit of Atalaya! Anna Hyatt Huntington and Archer Huntington were both incredibly talented and seeing Atalaya gives real insight into their lives. I hope you get to visit soon! You have recreated life and work of an artist very beautifully. I admit I did not know about Anna Hyatt Huntington. And I'm delighted to see some of her works from an accomplished writer and photographer like you. Stephanie - I HAVE to visit this place! It's phenominal! Wow! Can's say enough about how much I enjoyed this read and the photos!! Happyboomernurse - It's easy to miss Atalaya when you camp at Huntington Beach-just ask for information at the kiosk. There is a small additional charge, but it's well worth it, especially if you take one of the guided tours. 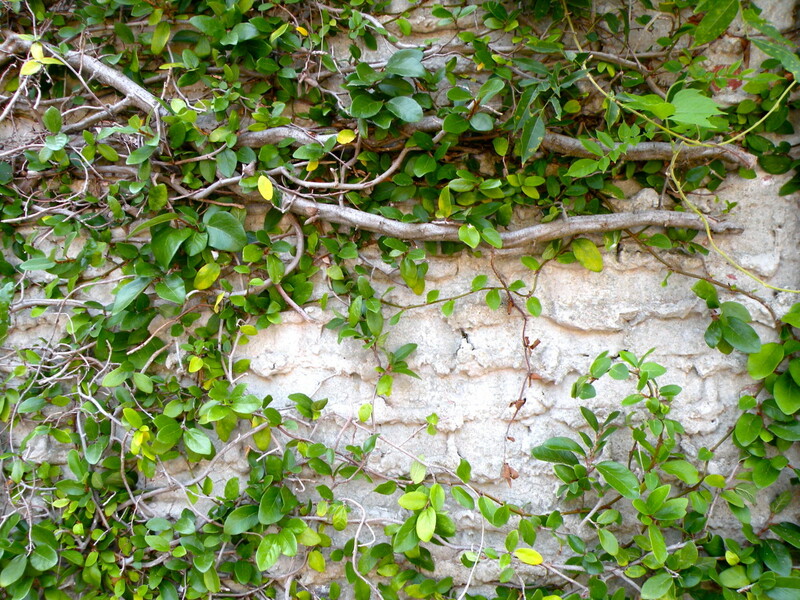 Touring Atalaya will give you a unique look at the Huntington's life. Thanks for the visit and the votes! I don't know how you make it to my hubs so quickly! I am so thrilled to see this photo gallery. I've visited Huntington Beach State Park twice and had no idea this was there! Will make sure to see it next time we're in Hilton Head, SC. Great hub, beautiful pictures and interesting narrative. How cool that you found out the Huntington's were once RVer's! Voted up across the board except for funny.